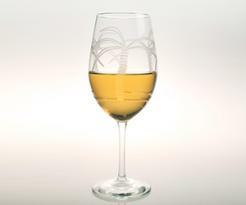 The perfect glass for Mango Wine or any other wine for that matter. 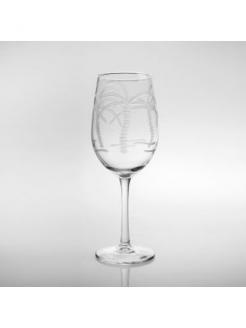 Outside of glass lined with etched palm trees. 10.5 ounce 8 inches tall.